After a difficult year of health issues our Husband, Dad, Grandfather and Great-Grandfather Everett Titus, 92, went to be with our Lord Saturday, April 14, 2018. Graveside service will be Wednesday, April 18, 2018 at 11 o’clock in the morning at Fort Bayard National Cemetery. Dudley Bristow will officiate. Veterans honors will be accorded. Titus was born July 29, 1925 to Eunice Titus in Walton, New York. At a young age Everett enlisted in the U.S Army to serve his country in World War II. He moved to Truth or Consequences in 1994 coming from Silver City. 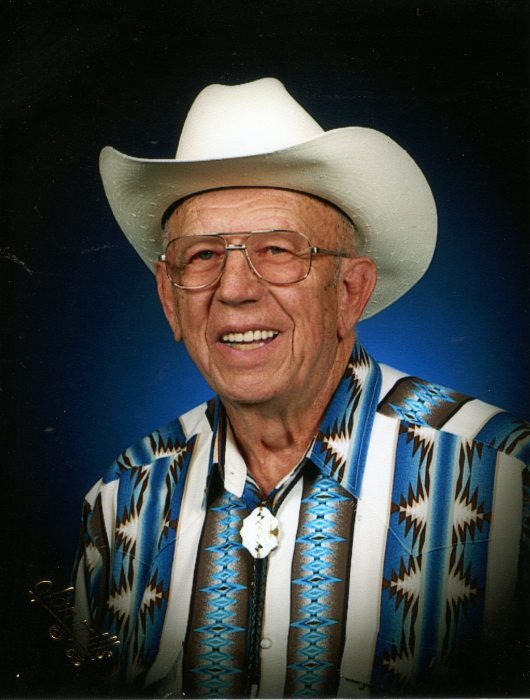 He was a member of the First Baptist Church and enjoyed camping and RV traveling. Titus worked as a handyman, maintenance for the school system and maintenance supervisor for the County Courthouse for 10 years before retiring. After retirement he and his wife Joan managed RV parks for traveling families. He will be remembered as a family man who loved his children and grandchildren. He was loved by those who knew him and will be greatly missed. He was preceded in death by his first wife, Elizabeth Patterson. Titus is survived by his wife of 43 years, Joan White Titus of the home; his daughters, Sharon Titus of Lufkin, TX, Lisa Smallwood of Oakland, ME, Patricia Quintero of Odessa, TX, Terri Swanson and husband Doug of Anaheim, CA, Cheri Faulks of Bartlesville, OK; son, Russel White and wife Candy of Skiatook, OK; 9 grandchildren, 10 great-grandchildren.